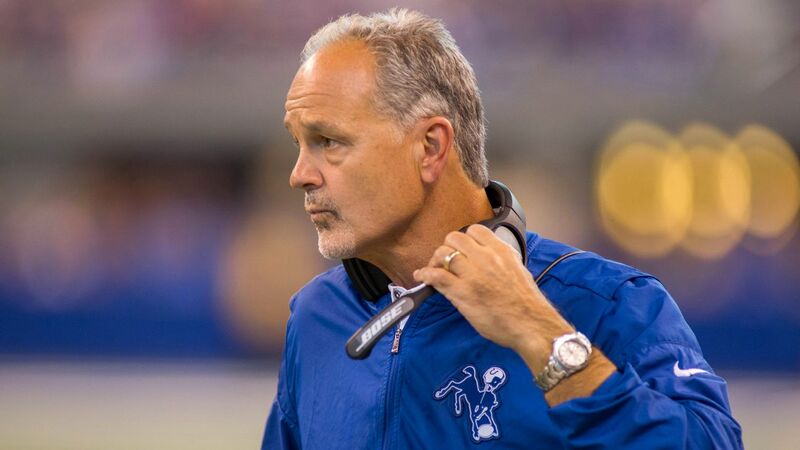 CHICAGO -- The Bears named former Indianapolis Colts head coach Chuck Pagano as their defensive coordinator Friday night. Pagano replaces veteran Vic Fangio, who became the head coach of the Denver Broncos on Thursday. "We are excited to add Chuck to our staff as defensive coordinator," Bears head coach Matt Nagy said in a statement. "He has successful experience at many different levels in this league, and he is a great teacher with an aggressive mentality that fits our style of football. He is a man of high character and has a passion for the game that will no doubt add to the culture we have already started building at Halas Hall." Pagano coached the Colts for six seasons (2012-17), leading Indianapolis to two AFC South championships (2013, 2014) and three consecutive playoff appearances (2012-14). Pagano was fired with a 53-43 regular-season record and a 3-3 mark in the postseason. Prior to accepting the Colts' head-coaching job, Pagano served as the Baltimore Ravens' defensive coordinator in 2011. Pagano coached the Ravens' secondary from 2008 to 2010. Pagano was a consultant for the NFL last year. A 16-year NFL coaching veteran, Pagano takes over arguably the league's best defense. The Bears ranked No. 1 in the NFL in takeaways (36), interceptions (27), interception returns for touchdowns (five), fewest rushing touchdowns allowed (five), lowest passer rating allowed (72.9) and fewest total plays allowed of 20-plus yards (46) in 2018. The Bears saw four defenders voted to the Pro Bowl: Khalil Mack, Eddie Jackson, Akiem Hicks and Kyle Fuller, all of whom are under contract for the foreseeable future. The Bears interviewed secondary coach Ed Donatell on Thursday for the defensive-coordinator opening before settling on Pagano. Donatell could follow Fangio to Denver, along with several other Chicago assistants on the defensive side of the ball.